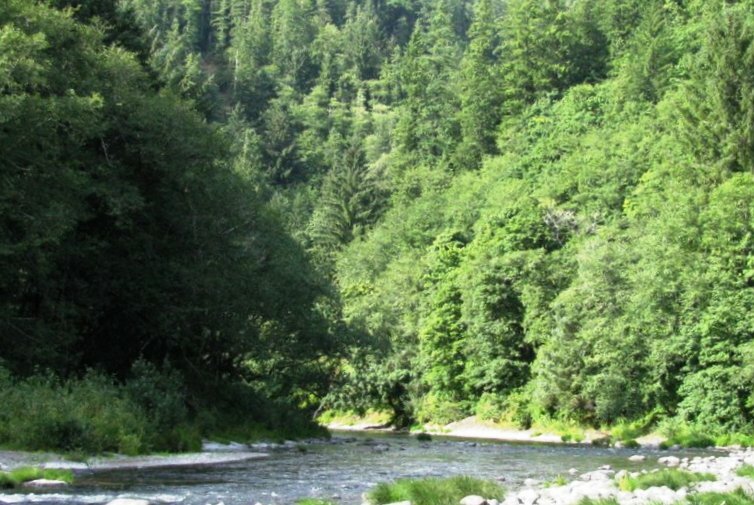 The Trask River is one of Oregon’s true hot spots for salmon and steelhead fishing. The Trask Originates in the Tillamook forest and dumps out into Tillamook bay stretching approximately 18 miles long before it forks. The North fork stretches for another 30 miles and the south fork another 10 miles. The three primary Salmonid species that run this body of water are Chinook, Coho, and Steelhead. Making the Trask river a major attraction for a fishing destination. For Trask, river fishing access, see our Trask river fishing access map below. This river is catch and release pretty much year round, but from mid August till the end of October it is open to Salmon fishing. Trask River Water Levels are provided by the United States Geological Survey data system. This fishery generally allows 2 adult salmon or steelhead per day. 5 Jack salmon per day allowed as well. Sand Shrimp, Salmon eggs, where allowed!